'Weird Al' Yankovic's Ode To The Trashmen According to Yankovic, The Trashmen's legacy extends well beyond its status as the best surf band ever to come out of Minneapolis. With its 1964 hit "Surfin' Bird," the group distilled rock music to its essence. For me and for a lot of people like me, popular music has a way of defining a particular decade or a particular year. For example, when many people think of the year 1964, they think of the British Invasion. The Beatles dominating the record charts. Historic performances on The Ed Sullivan Show. Well, not to take anything away from the Fab Four — who, it must be said, are easily one of the top 10 boy bands of the last century — but when I think of 1964, I can only think of one defining moment: the emergence of a powerful, unstoppable musical force. A group of young lads from Minneapolis known collectively as The Trashmen. 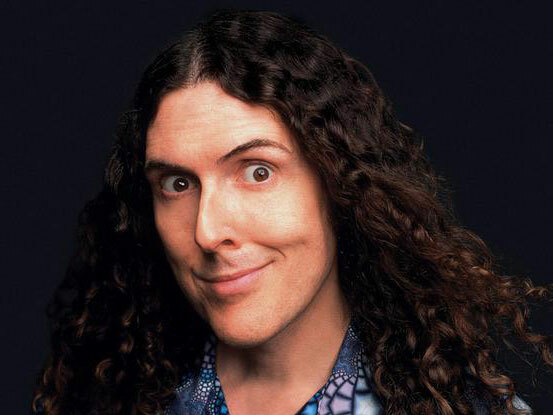 "Weird Al" Yankovic will never forget that "the bird is the word." Not only were The Trashmen arguably the best surf band ever to come out of Minneapolis, but with their 1964 hit "Surfin' Bird," they did something that no other band before or since has ever truly done. They stripped rock 'n' roll to its very core. They peeled back the layers of the onion of rock. "Surfin' Bird" was inarguably loud, dumb and pointless. It was absolutely everything that was great about rock 'n' roll, distilled into one song. Also — and this is no small feat — I think that this song finally, once and for all, conclusively proved that the bird was, in fact, the word. If you didn't believe it by the end of the first verse, then there was certainly little doubt left in your mind by the bridge. This song was and continues to be a personal inspiration for me. Whenever I write a song, whether it's a heart-wrenching love ballad or a food-based song parody, I always take a moment to contemplate: What would The Trashmen do? True, I could never deceive myself into thinking that I could match their genius or their gravitas, but artists need something to strive for — a beacon of perfection to guide their way. By equating the bird with the word, loudly and repeatedly, The Trashmen proved conclusively why they deserve to be immortalized in the Rock and Roll Hall of Fame. Although, let's face it, they never will be. No stinkin' chance.